Dr. Ted M. Kahn is the co-founder, President and CEO of DesignWorlds for Learning, Inc. and Chief Learning Officer for DesignWords for College and Careers. He has been actively involved in developing and marketing innovative uses of interactive technologies for creative lifelong learning for over 36 years. Over the past 18 years, his special areas of expertise have been in the uses of digital video and multimedia, as well as the Internet and the Web, as media for supporting distributed learning and knowledge design communities. Ted is known internationally as a pioneer and innovator in action-research projects involving technology and learning in both K-12 schools and higher education, homes, workplaces and museums. His commercial business background includes being the founding Executive Director of the Atari Institute for Educational Action Research (Atari/Warner Communications), Picodyne Corporation and Digital F/X, as well as advanced learning technologies research and development experience at the Lawrence Hall of Science (U. C. Berkeley), the Center for Educational Technology (Israel), Xerox Palo Alto Research Center (PARC), the Institute for Research on Learning (IRL), and the Galef Institute. His extensive experience has resulted in the development and marketing of numerous award-winning educational multimedia products, hypermedia computer-based training systems and complete user education strategies and support materials for new kinds of tools for lifelong learning and creativity. Ted and his DesignWorlds team applied this background in creating the key web content and web educational marketing messages for Apple in 2000 to support their launch of iMovie for education. He has recently been the founding director of the Bay Area Science Education Collaboratory. This project, initially funded by grants from the William and Flora Hewlett Foundation and the S. D. Bechtel, Jr. Foundation, is a dynamic web-based resource and learning community for middle school science teacher. Ted is a frequently invited keynote speaker and workshop presenter at national and international conferences on creative education, technology and learning. He consults for Fortune 500 companies, museums, school districts, and non-profit organizations, and has been a board member or advisor for numerous museums, government organizations, and public-private collaborations. Ted has been a Senior Fellow and taught at the UCLA Graduate School of Education & Information Studies and is now a CSTS Fellow at the Center for Science, Technology and Society at Santa Clara University. He is an adjunct faculty member with the Krause Center for Innovation at Foothill College, where he teaches online professional development courses for K-12 teachers and parents in integrating technology into K-12 education and informal learning. He has been a GLEF Fellow and is a member of the Speakers Bureau of The George Lucas Educational Foundation. In 2003, the NMC: New Media Consortium named Ted as its first NMC Fellow. its highest individual honor, for his lifelong work in the development and use of digital media and interactive technologies for learning, teaching and creative expression. Ted is also a Distinguished Visiting Scholar with Media X @ Stanford University, a member of the Advisory Board of the Lifeboat Foundation, and an active member of the World Future Society. Ted received his B.A. in computer science (with distinction), and his M.A and Ph.D. in psychology from University of California, Berkeley. Frona L. Kahn, Vice President and co-founder of DesignWorlds, has helped shape the education technology industry for over 20 years. Her work with top Fortune 500 companies and non-profit organizations, including Apple, PBS, Compaq and Fisher-Price, Computer Curriculum Corporation, Microsoft, Grolier, and Gateway Learning Corporation have made technology desirable and accessible to schools and families. In 1981, as a co-founder of The Learning Company (TLC), Ms. Kahn pioneered innovative, award-winning educational computer software products for young children. Frona developed the strategy for addressing the home market. She built and directed the Educational Sales and Marketing Division, which became a cornerstone of TLCs business. As a conference speaker, Ms. Kahn addresses audiences both in the U.S. and abroad. Frona is also an award-winning author and recipient of the Parents Choice Award, for Play Together, Learn Together, one of the first combination book and software products for parents and children. She serves as an advisory member to state and national committees. Frona was member of the founding Board of Directors of the Children's Discovery Museum, San Jose, California, a major museum which has since won national and international acclaim. The Clarity Group is a venture investment and strategy firm specializing in business, and education knowledge acquisition software and services to attract, retain and grow customers, and high performing employees. John J. Gottsman has led companies using technology to provide contract service management in engineering, systems consulting, real estate, transportation, distribution, wireless telecommunications and knowledge acquisition. He has successfully led four corporate turnarounds and two startups. Gottsman is an active Angel investor, strategy designer and advisor, and CEO counselor. He is an active participant in the financing activities of the Band of Angels and Garage Technology Ventures. John J. Gottsman was a co-founder, President and CEO of Academic Systems. Academic Systems was the first instructional technology company to provide a comprehensive set of interactive instruction and services that helped: college faculty improve student pass rates 20% to 80%; improve student academic performance in subsequent courses 30% to 50%; improve student retention on over 80% of its client campuses; and generate a positive return on investment for the colleges achieving these academic improvements. Prior to Academic Systems, he was President and CEO of WICAT Education Systems, a K-12 provider of interactive instructional courseware to primary and secondary schools. Previously, Gottsman, as President and CEO, led Homequity (acquired by Cendent), a $700 million relocation services firm managing the relocation of over 40,000 Fortune 1000 families a year, and the annual disposition of $3 to $4 billion of residential real estate. Gottsman spent ten years at ARAMARK; the largest service management firm in the world ($6B), where he led organizations to substantially improved customer satisfaction and profitability. The multi-profit center organizations led had up to 7,000 people providing transportation, food service and distribution services to businesses, colleges, school districts and hospitals throughout North America. Gottsman spent several years as an information and management consultant with Accenture following five years as an officer in the Civil Engineer Corps of the U. S. Navy. Gottsman serves on boards of several Silicon Valley startup companies; the Center for International Leadership in Washington, D.C. and served on the board of the now merged Institute for Research on Learning. He was a co-founder of an Orange County incubator, GazelleLab. He has been active in the World Future Society for over 20 years, and is Chair for the 2003 WFS conference in San Francisco. He is Chair of the Silicon Valley Node of the United Nations Millennium Project. Gottsman is a Senior Associate with the Foresight Institute's program in nanotechnology. He has an engineering degree from Villanova University; and a Master's degree in business from George Washington University and was ABD for a DBA. Rick Berg is a Digital Media Developer at the Children's Discovery Museum of San Jose. Previously he was a Research Scientist at the Institute for Research on Learning . He has taught in the Teacher Education department at San Jose State University, has supervised pre-service teachers, and has directed an after-school program for a K-8 school. He has research experience using both experimental and ethnographic methods. He has studied human infant behavior, developmental cognitive change, learning and creativity in school, and teacher practice. He has worked on a variety of software tools on the Middle-School Mathematics through Applications Project , including the Coding Toolbox, which has reached more than 20,000 middle-school students in beta form. He has also worked extensively with teachers who are doing multimedia-based projects in their classrooms, which is part of the federally funded Challenge 2000 initiative. He developed workshops for the PRIMES project, which aims to connect parents and thier children's math education. Rick has also created a number of World Wide Web sites and virtual communities that support teachers and school reform. Currently he develops cdm.org and it's associated sites, Kick Start Eat Smart with Kaiser Permanente, and BioSITE, an environmental education site. Monica Bradsher believes that the key to effective teaching lies in motivating students of any age to want to learn what they need to know and do. Technology offers rich opportunities for motivating both teachers and students to inquire, explore, and create within structures that build deep understanding as well as essential skills. Ms. Bradsher's 30 years of experience in education include teaching, curriculum development, writing, editing, project management, extensive public speaking, and staff development for schools in the United States and abroad. She has been an independent consultant in educational technology since 1997. Her clients include the Burns Telecommunications Center in Bozeman, MT; the Paterson, NJ, public schools; the Human Capacity Development Center of USAID, the National Geographic Society, the ASTL Project in Israel, and the Arlington County, VA, public schools. She has also taught technology courses for educators at the University of California, Irvine. From 1980 through 1997, she was a managing editor in National Geographic's Educational Media Division, where she led development of award-winning computer software and curriculum kits, most notably the NGS Kids Network series of telecommunications-based science units for grades 4-9. More than 1.5 million children in 50 countries took part in Kids Network school collaborations by 1997. Ms. Bradsher received the 1997 Susan Hadden Award for Pioneering in Telecommunications from the Alliance for Public Technology in Washington, DC. Prior to 1980, Ms. Bradsher was a classroom teacher for 11 years in grades 3, 6, and 9 in Massachusetts, Hong Kong, Virginia, and Washington, DC. She graduated from Swarthmore College with High Honors and won a Fulbright Fellowship to India. She earned an M.Ed. at the Harvard Graduate School of Education. Jim Hannon has developed and managed a variety of successful new businesses and led marketing, sales, and business development organizations in a variety of hi-tech companies. As Chief Operating Officer of music production company, tomandandy, Mr. Hannon significantly expanded its base business while developing new record label and affiliates enterprises. While Vice President of Marketing and Sales at Opcode, a leading supplier of music authoring software and edutainment CDs, Mr. Hannon developed a new, profitable education business and channel, and international markets as part of a major business expansion. Earlier in his career at PBS flagship affiliate, WNET/THIRTEEN (New York), Mr. Hannon won a major HEW grant for his "critical television viewing skills" curriculum, which became the basis for a series. A graduate of Stanford, Jim has an M.A. in higher education as well as an MBA. Doreen Nelson, recognized by the New York Times as one of the thirty most innovative educators in the USA and an honorary member of the American Institute of Architects. She is the Director of the Center for City Building Education, an author, producer and director of educational films and a major contributor to computer design firms. Professor Nelson teaches in the School of Education and Integrative Studies and is an Adjunct Professor in the College of Environmental Design at California State Polytechnic University, Pomona, California. Nelson pioneered the use of design thinking in education. She developed and implemented the use of specific methods to speed up the thinking skills associated with design and creativity. Her research has been funded since l97l by the National Endowment for the Arts, the California Arts Council, the California Community Foundation, the United States Department of Education, the Heller Charitable Trust, the Ralph M. Parsons Foundation, the Atlantic Richfield Foundation, Apple Computer Corporation and participating schools. Dr. Sherman Rosenfeld is an internationally-known leader in informal learning and science education. Sherman works at the Department of Science Teaching at the Weizmann Institute of Science in Rehovot, Israel. 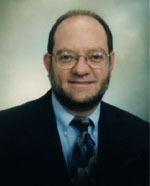 A biologist and educator by training, he has directed a science museum and designed educational software for many commercial companies, including Atari, Picodyne, the National Geographic Society, Wings for Learning and LOGAL Software , where he received EDUCOM's highest award for exemplary educational software design. Sherman has participated in many research and development projects. In 1982, he wrote a position paper on "Informal Learning and Computers" for the Atari Institute for Educational Action Research. He has also directed The Agam Program for Visual Education and was project director for an innovative curriculum on plant tissue culture. For the past 15 years he has focused his energies on helping teachers cultivate student-based scientific research and project-based learning (PBL). Toward this end, he co-developed "The Golden Way," a networked environment for PBL in science and technology. This environment represents a collaboration between of the Weizmann Institute of Science's Department of Science Teaching and The Association for the Advancement of Science Education at MIGAL, in Kiryat Shmona, Israel. He was also a contributor to the development by DesignWorlds for Learning's Exemplary PBL Projects for Middle School web resource ( developed by DesignWorlds under contract to WestEd with funding from the U.S. Department of Education. Sherman was one of the conference organizers and co-chairs for " Art, Science and Technology of Learning in the 21st Century" an international educational workshop and conference held in Israel in 1997 for over 40 educators from developing and developed countries (co-funded by UNESCO, UNDP and others), and he has been a key Israeli liaison and consultant for DesignWorlds for Learning's Education and Outreach Program for the Contemporary Jewish Museum of San Francisco, including the Otzma Digital Web Documentary Project. He has also helped design and develop "I can do it!," a national annual competition among middle and high school students in Israel to design and invent devices and assistive technologies for people with special needs. Since 2002, he has been a consultant on the design and development of DesignWorlds' Bay Area Science Museum and Education Collaboratory, a web-based open education resource for middle grade teachers in helping them find, aggregate and utillize the wealth of museum and other informal science learning center resources for improving student scientific literacy and achievement, all aligned with grade level science content standards. Sherman is also currently a co-author on a teacher edition for a middle grades Life Science open source flexbook for the CK12 Foundation, which is promoting the development and adoption of open source educational alternatives to traditional textbooks for use in K-12 schools, and he has published many articles and done many conference presentations about research and implementation of informal and formal science education, PBL, differentiated instruction and learning styles. He received his B.A. in biology and his Ph.D. in Biology and Science Education from the University of California, Berkeley. Linda K. Taber Ullah, M.A. M.Ed. is teacher in residence at the Foothill College Krause Center for Innovation where she coordinates and teaches in the LINC (Learning in New Media Classrooms) technology staff development program and is director of the Earn While Your Learn Project Based Learning Supported by Technology Institute. Prior to this she was a technology learning coordinator for the Challenge 2000 Multimedia Project, and assisted the director in the overall operation of the Multimedia Project. She has taught several elementary school grade levels, Title One resource programs, special education, worked in a clinical setting and taught pre school motor development classes. In addition, she was on the Leadership Team for the Santa Clara County Office of Education's Internet Institutes, and co-led one of the Leadership in Learning with Technology Cohorts (a collaborative grant between the Santa Clara County Office of Education and San Jose State University). She is on the educational advisory committee for IISME (Industry Initiatives for Science and Math Education), the Charter School of Morgan Hill board, and the board of directors for the Teachers International Exchange, and is a former school board trustee for the Morgan Hill Unified Unified School District in Morgan Hill, CA. She has a BA is Social Studies from Marietta College, a M.Ed. from the University of Cincinnati in Special Education and a M.A. from San Jose State University in Instructional Technology. Zane Vella is a concept developer and producer of interactive media specializing in network communications, visualization, and environmental design for entertainment and education projects. Zane is a founder of the Beta Lounge and is currently developing SmashTV, a network of unique, independent, streaming media entertainment sites. Zane has worked closely with emerging interactive technologies as a researcher, technical director, and artist, focusing primarily on projects that educate and entertain. Zane founded the CitySpace Project in 1993, an international virtual reality project on the Internet which was awarded the 1996 National Information Infrastructure Award for Arts and Entertainment. In 1995 he co-produced and directed the Digital Circus, a traveling, new-media showcase of young people's digital media productions. Zane has worked extensively with the San Francisco Exploratorium to establish both the museum's webcast production facilities and the NSF-funded "Live from the Exploratorium" series. In collaboration with NASA, he produced several live webcast events in this series, including: 1998 and 1999 solar eclipse , the Hubble Space Telescope and most recently, Fautline (from the San Andreas fault in California). Zane also recently completed the Production Lab, a children's media production laboratory for Zeum , the new art and technology center in San Francisco. Zane has worked extensively with the entertainment industry to pioneer live production for the internet with clients including Lollapalooza, Interval Research, Disney, Apple Computer, Colossal Pictures, Wired Ventures and MTV/SonicNet. In addition, he is a co-founder of the Network Syndicate and Executive Producer of the BetaLounge . Zane holds a Master's of Technology in Education from Harvard University and completed advanced study in Media Arts and Science at MIT's Media Laboratory. Zane received a B.S. from Georgetown University's School of Foreign Service where he specialized in diplomacy and international communications. Tony was born and raised in Ireland where during high school he financed his hobbies by tutoring French. His first full-time job was as a high school teacher in Kenya for a year, teaching various subjects including math, science, and geography. Later, he later taught in a vocational school in Ghana for two years, where he developed a curriculum in metalworking. He then spent six months riding a motorbike back to Ireland. Subsequently, he worked for Hewlett Packard in Germany and California in various roles including program management, technical marketing, software internationalization, strategic alliance management, IP licensing, digital photography and user experience. During this time, he was an HP and Agilent ‘loaned executive’ for three years and had the opportunity to work at a high school district office working with students in four high schools as part of an industry partnership program. This included recruiting and training mentors for the students, organizing summer job oportunities and some teaching. Tony is an active member of the Civil Air Patrol (US Air Force Auxiliary), where he is a search mission pilot, and he volunteers for his church as well as for Medicine on the Move a rural health program in Ghana in a number of roles including that of a classroom teacher. He enjoys mentoring both students and adults, and using his curiosity about people to help uncover new opportunities for them. He has engineering and mathematics degrees from Trinity College in Dublin and an MBA from UCLA.